Just because something is around for a long time doesn't mean it's good. 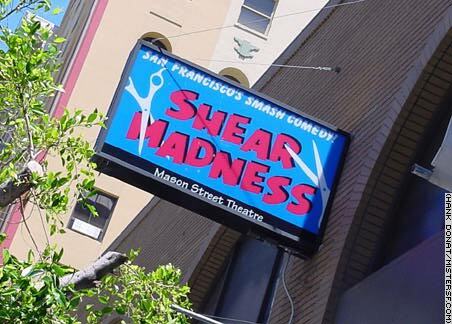 Shear Madness is the longest running non-musical play in the U.S., having run for more than 20 years in Boston, and nearly 20 in Chicago. The truly awful audience participation comedy with labored topical jokes closed in the spring off 2001 after five seasons at the Mason Street Theatre. The gimmick is simple; the audience helps solve a mystery about a murder in a beauty parlor. The play is strictly for tourists rather than the theatre crowd. Shear Madness was written by German playwright Paul Portner and produced by Marilyn Abrams and Bruce Jordan. In October, 2002 the 240-seat Mason Street Theatre closed entirely, as did the 80-seat Union Square Playhouse next door.